The second of three currently available Doctor Who Mini-Sets from Character Building that DWO are reviewing, is The Time of Angels Mini-Set. Comprising of just 68 pieces (compared to the Dalek Progenitor Room set which has 118 pieces), and with a build time of around 10 minutes, it's significantly easier to put together, with the larger rocky pieces ready to snap in as one-unit standalone blocks. 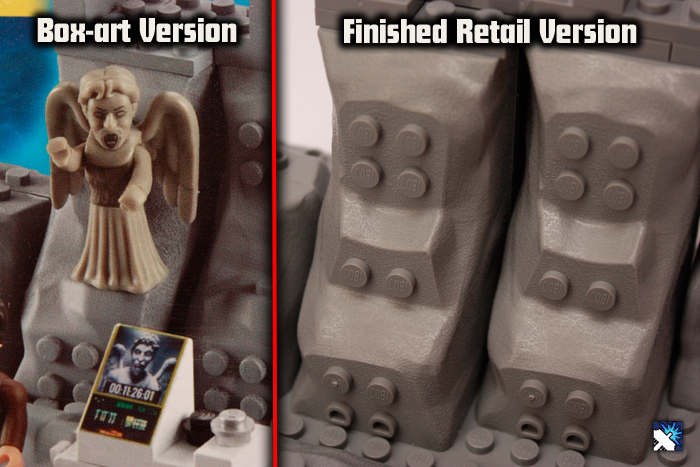 Although not as enjoyable to build as the Dalek Progenitor Room, The Time of Angels Mini-Set makes up in scale, with five levels of different heights to re-enact scenes with the chilling Weeping Angels. There is a slight variance with the box image (pictured), that represents a platform on one of the centre rocks that you can perch the angel on. On the actual finished product, there is no such ledge - of course, there are plenty of other areas on the Mini-Set for the stone menace to spy its potential victims from. 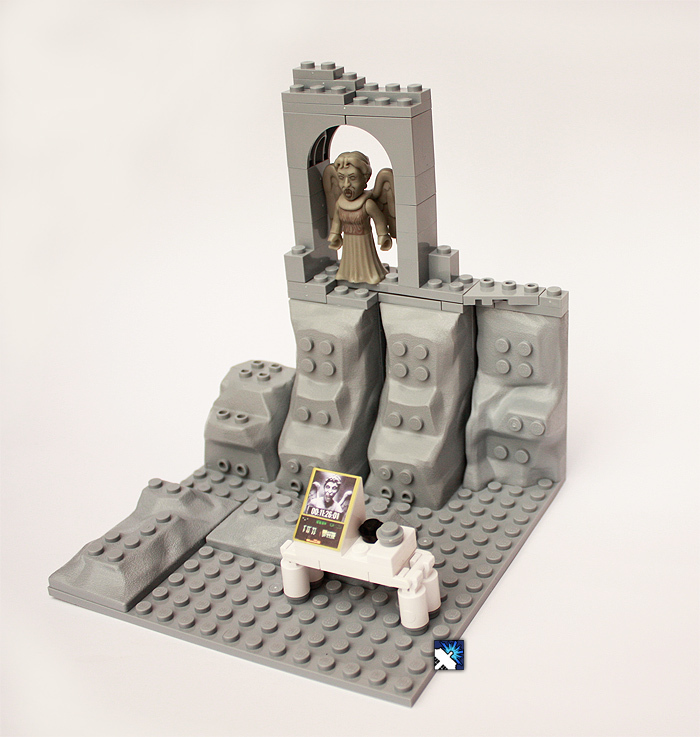 The set includes one pre-assembled Weeping Angel Micro-Figure to play with, which is also available in the blind bags currently available in the shops for £1.99. At just £9.99, it's definitely worth the money, and a lot cheaper than a similar set in size would cost if it had the Lego branding on it.